In addition to being a faculty member and associate director of applied learning for ETEAL, James DeVita has been a dancer since the age of three. 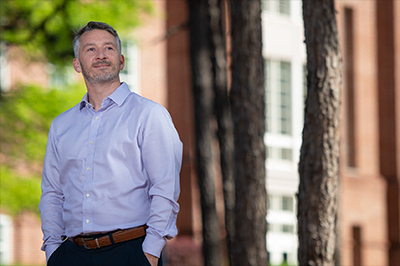 Through his work as an administrator, in the classroom and on the stage, he is grateful for the collaborative spirit that connects campus to the community. NEW: In Conjunction with Earth Week, Chancellor Establishes "Natural Areas Stewardship Committee"